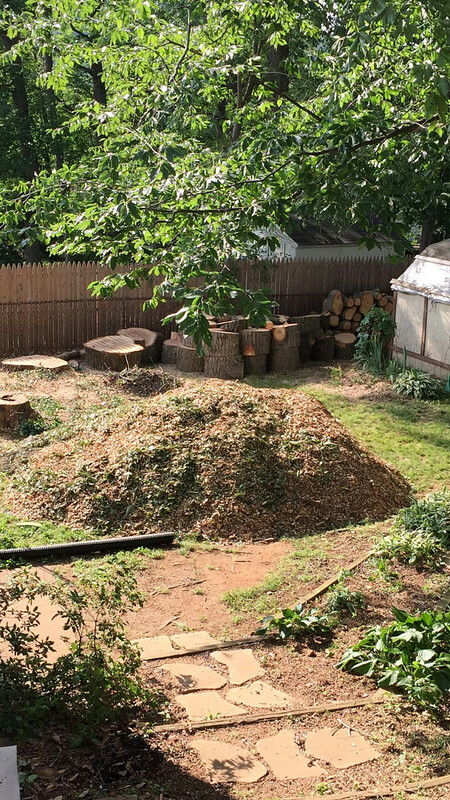 My landscaper promised I could leave the job totally in his hands … and he was right! 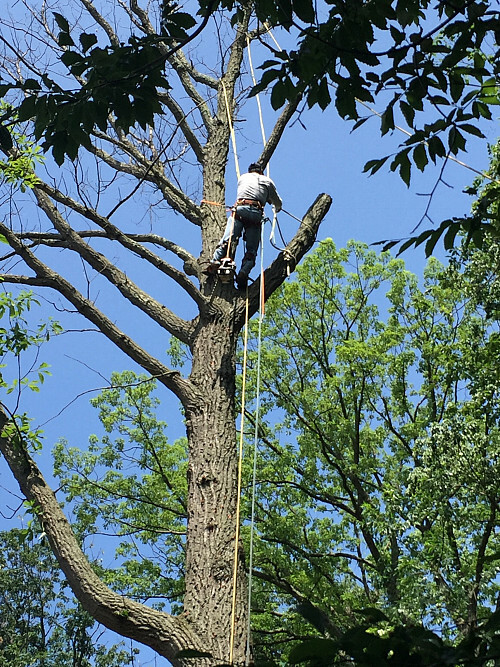 Tree removal for a dying oak. Complete customer service and flexible pricing. 6 stars out of 5! They were that great! I would hire them again in a heartbeat and recommend them to anyone who needs a tree cut down. No doubt about it, the top of my enormous oak was dead. It was in such bad shape that I needed to have it completely removed. While I was at it, I wanted to get several other trees trimmed. Seven or eight different contractors came out here to give an estimate. Eric of Jeovani's Lawncare & Tree Service, the last one, was higher than the others, which put me off. Pruning several trees in the back yard. Of course, it didn’t hurt that he promised, “My people will clean up all the mess they make. 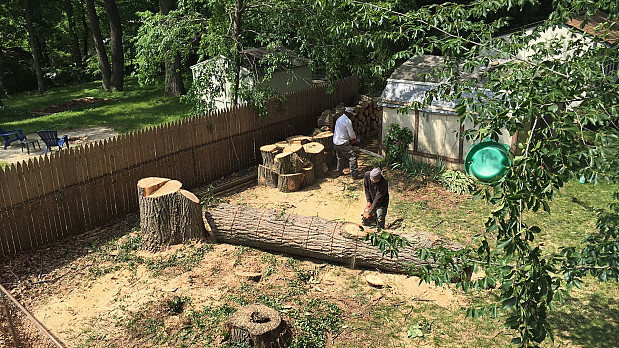 Your yard will look just like it does now, minus the tree.” He was also adamant that when the crew came out, I’d just have to describe what I wanted and then leave it totally in their hands. They didn’t play around. While some of the guys were cutting the tree, one was mulching, and another one cleaning up. They were great! Had a very professional attitude and a great work ethic. Cleaned as they worked so it wasn’t a mess when you went outside. I could walk in my backyard at any given time. They left no footprint other than a little sawdust from the tree. Didn’t damage my neighbor’s picket fence or dirty his yard. Were very well-mannered. Didn’t use any abusive language. Get referrals and interview different people. Find a landscaping contractor who will listen to what you want but also has the initiative to take care of the job without your constant supervision. 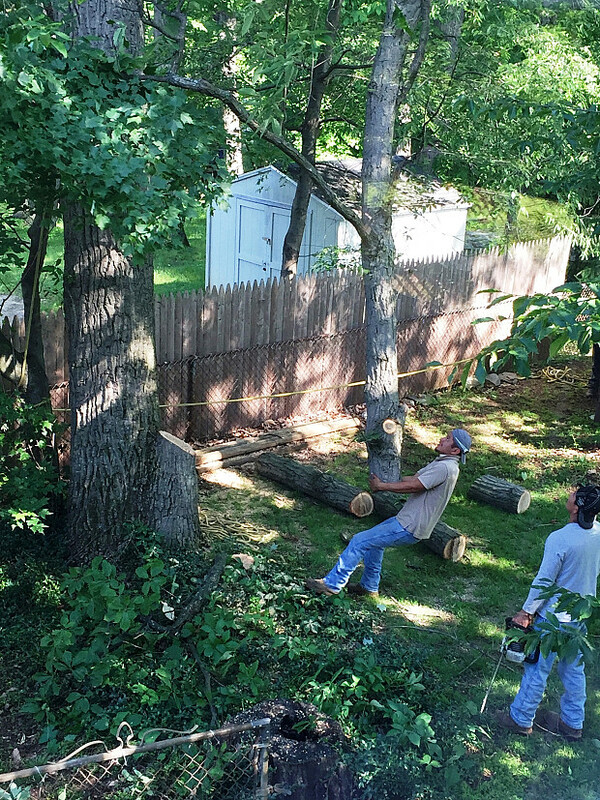 Careful, Professional Tree Service Removes a Huge Norway Maple by Eileen W.